As always, the best way to understand the importance of malware, or in this case “consented” software with malicious intent, is to follow the dollars. In the case of PUAs, one of the main revenue generators comes from the online advertising economy, where revenue is generated by driving traffic to specific sites. PUAs can drive traffic by putting more and more ads in front of users that will drive them to the desired site. This can be done via pop-up ads that open over or under your browser window or in another tab, also via ad injectors. Ad injectors insert new ads, or replace existing ones, into the pages you visit while browsing the web. You may ask yourself: ‘why should a company or end-user care? It’s only adware, it’s not exactly forcing me to pay something, ransomware does’. The problem here is that when we think about adware, we think about what we know from the Windows PC world. And when we think about PUAs in Windows, we think of minor nuisances and little else; always better not to have them, but we won’t lose any sleep about them. Independent third-party AV testers, AV Test, have recently shown great interest in PUAs in MAC and although it is not an integral piece of their testing, they will soon include it. Google is taking this quite seriously also, which is encouraging as their stance on other security issues has been questioned by the majority of security vendors. So the fact that they are acknowledging this, we believe, is a big positive. 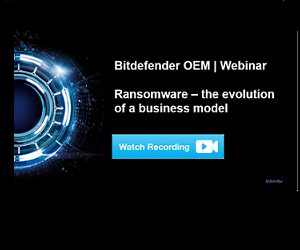 Bitdefender, true to form, identified this as an upcoming issue long before it started to make ripples on the scene and has strived to develop technology that best detects and mitigates the effects of PUAs, both for consumers and enterprises alike. AV-Test has already recognized the superior detection and remediation capacity of our technology, and we will lead the charge in their upcoming comparatives, no doubt! 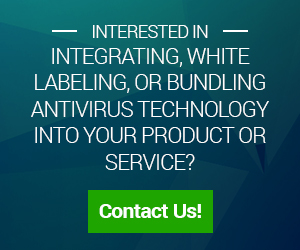 PUA detection and remediation is only part of the overall Mac protection technology which is available to our OEM partners through various licensing models such as SDKs, Branding and White labeling. Darragh Kelly, Global OEM Product Marketing Manager at Bitdefender, has been working within the IT Security industry for over 17 years. Having had a diverse number of roles, such as QA, Tech Support, Training and Product Marketing in his career he has a unique understanding of the challenges faced by a wide range of stakeholders in the business.